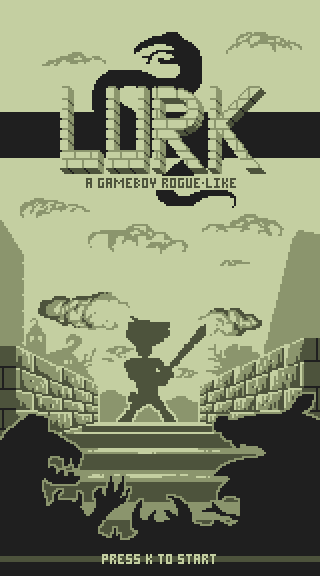 LURK is a rogue-like starts in a town that is cursed with an illness that killed most of the townsfolk. Survivors are too weak to fight the source of this curse that is hidden deep underground by an evil power. You are an adventurer passing by the town and the only person to be able to stop this curse. Logo and long image to use after intro. I agree looking forward to seeing this! It will appear when you die :) Thanks! Looking good. Looking really forward to playing this actually. I'd be tempted to port this to the real thing after the jam. Now I'm alone on this project and afraid that I won't manage to complete it. I will still try my best, there is time, wish me luck! Luck! I'm alone on my own project and I can sympathize. I want to play this one. Please release it for mobile any time soon! The person I was working with changed today so it was more re-briefing than actual work. Tomorrow should be better. We just set up our trello board and slack, created phaser project and did some testing. We have been hit by some rocks on the way but managed to reach the plains finally. 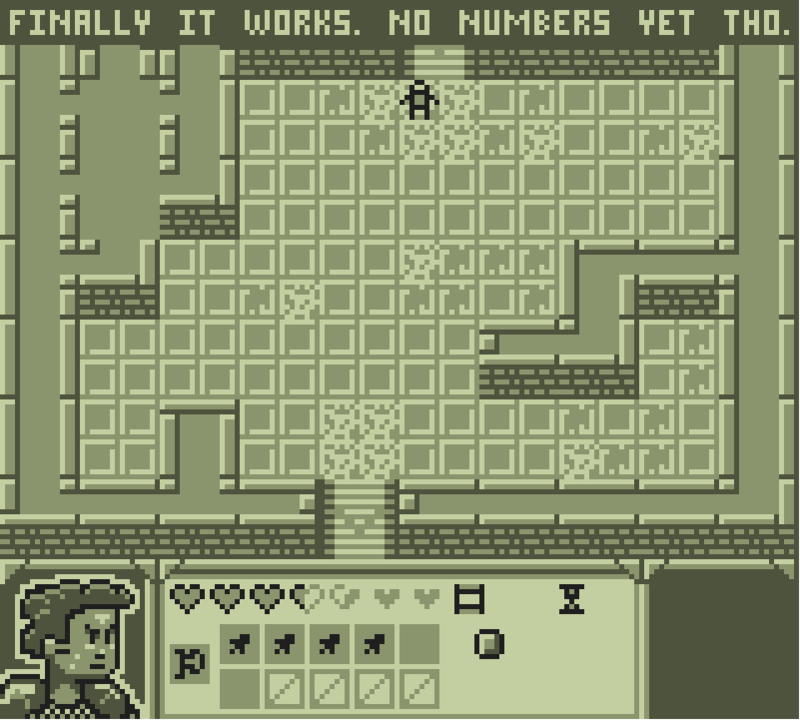 Map is being rendered with tilemap, key inputs are all in place, loading screen works and health system is 100% complete. We have dungeon generation, character movement, collisions, health-damage all working. Inventory is almost done. 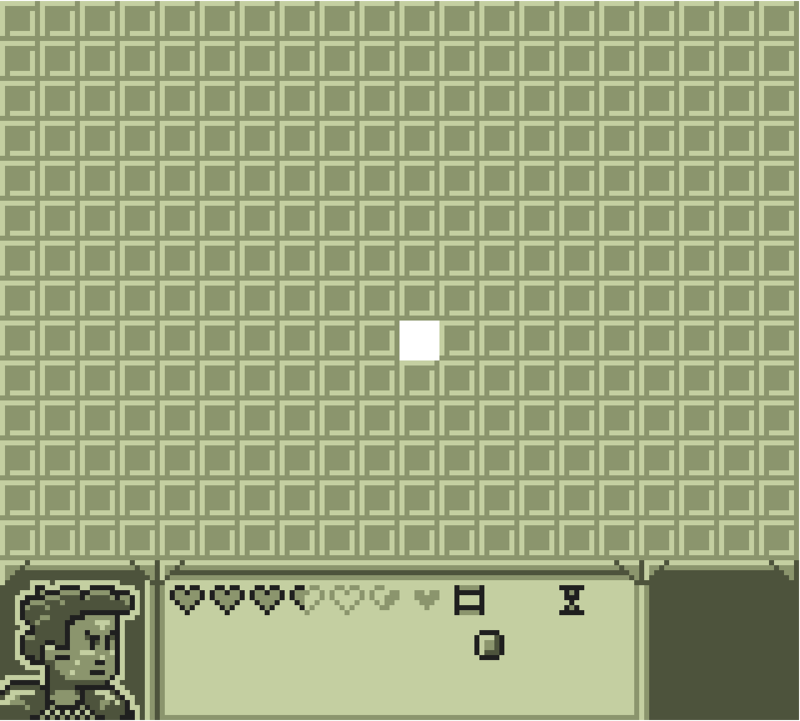 Now we have our own pixel font in :) It will need just a bit more work. Now we also have items and enemies in dungeons. Some combat and picking objects up implemented! Pathfinding is working! (well, most of the time :P). Leave me alone, nasty rat! We also started adding music and sounds. Time is running out, but we keep working hard to meet the deadline! I really like the graphics! Nice job! Definately having a go once we're done with the Jam. Thank you very much :) We would definitely love to hear what you think after playing. It's that beautiful feeling when you have the difficult part behind. 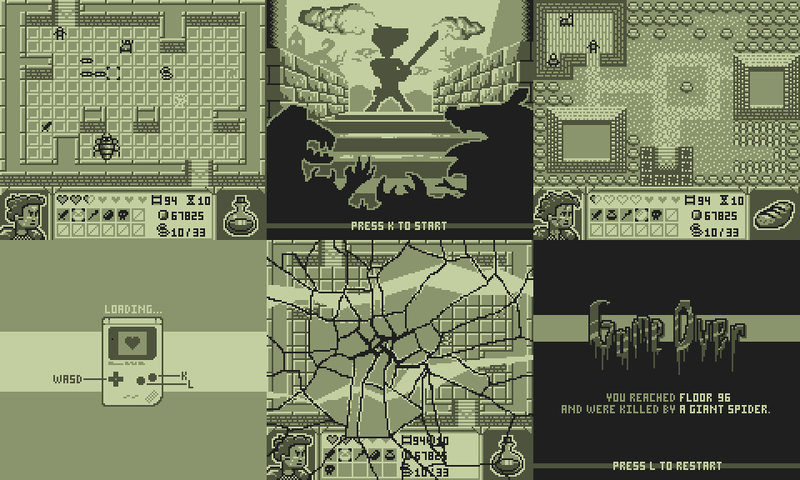 We have a few more things before adding content (item and enemy types) to make this more challenging to play.